An intimidating tee shot which can find trees easily. 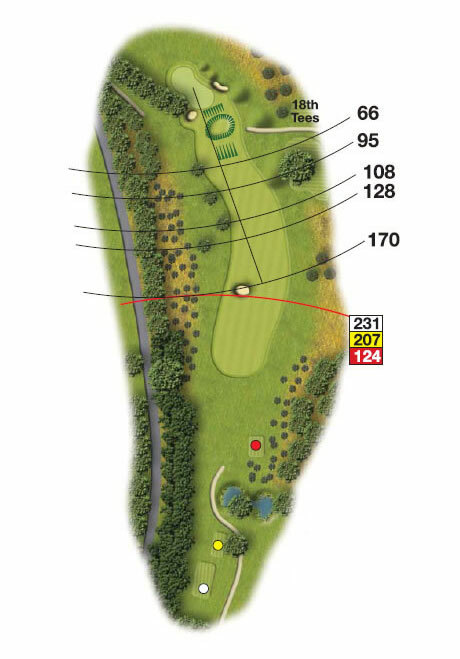 A well placed tee shot will allow you a straightforward approach shot. Be aware of where the pin location is as this will determine the style of shot you choose to play into the plateau green.